PROJECTS101 is currently developing comprehensive course outlines and content for various courses that is teh eLearning developing is developing to benefit those who can hardly afford to take quality eLearning courses in project management in preparation for different globally recognized certifications. Among the main course on offer – for FREE – include the Project Management Professional (PMP) Certification and the Agile Certified Practitioner (PMI-ACP)®, which are trademarks of the Project Management Institute (PMI). Other courses include the Prince2 Foundation and Practitioner, which are trademarks of AXELOS, and the PMD Pro (Level 1 and 2) which are owned by Our course outline and content is currently being prepared by a team of volunteer project managers, who are both certified and experienced. The PMI’s PMP course is largely based upon the PMBOK, which is a Standard that contains a truck load of processes and ‘generally accepted’ techniques of project management. According to PMI’s PMP exam application web page, for one to qualify to write the exam directly with PMI, they must be an experienced project manager who already are able to perform their duties under general supervision and are responsible for all aspects of the project for the life of the project; lead and direct cross-functional teams to deliver projects within the constraints of schedule, budget and resources; and demonstrate sufficient knowledge and experience to appropriately apply a methodology to projects that have reasonably well-defined project requirements and deliverables. It is important to note that in order to be trained through the PROJECTS 101 eLearning platform, one does not necessarily need to have all the stated requirements above. 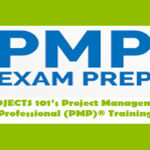 Those requirements are specifically for exam application directly with PMI. PROJECTS 101 acknowledges that one can participate in our course for purposes of being acquainted with the PMBOK rather than writing the exam itself. 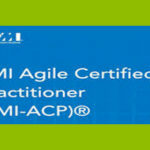 Similarly, once does not need to meet the requirements for sitting for PMI-ACP. However, while PROJECTS101 is offering certificated at completion of each course, the amount of time spent learning using our our platform cannot count towards to the required contact hours of PDUs of project management formal learning that qualifies one to sit for each exam; hence PROJECTS has prioritized having its course outline and actual content/materials assessed and validated by PMI. PROJECTS101’s plan is to have all our course outlines/curricula and content/materials validated by PMI by end of 2019, as one of their Registered Education Providers (REPs) of PMI. 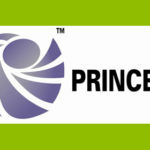 With AXELOS, we will be doing the same with Prince2 Foundation and Practitioner, based on the same timeline as PMI. Another very critical area in which we want to make as much impact as possible is the NGO sector. 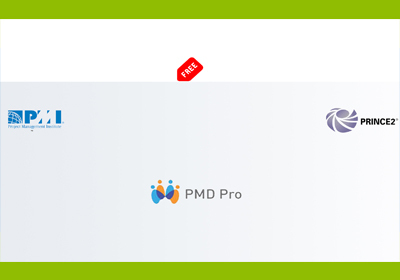 Today, it is almost impossible to speak about project management best practices in the non-profit without mention PMD Pro, which is fast gaining global recognition. According to PMD Pro Forward, NGOs using PMD Pro report reduced delays because PMD Pro tools help development staff define project risks and goals, assess progress, and efficiently delegate work. PROJECTS 101 will also soon be courting PM4NGOs, the owner of PMD Pro and PgMD Pro, to have our PMD Pro course outline and content/materials evaluated and subsequently to have PROJECTS 101 included in its directory of training institutions and trainers. 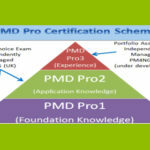 Note that the purpose of submitting our course material to PM4NGOs will not be for accreditation purposes – as PM4NGOs does not accredit training organizations or trainers – but it will be for purposes of seeking any technical advice on how best we could improve the content, design and delivery of the course. Finally, PROJECTS 101 will in the near future continue to add more specialized short courses as well, such as Project Governance and Leadership; Microsoft Project ; etc. However, for now, our priority is to develop course materials for selected major project management certifications and, indeed, have them all accredited by end of 2019. We are, therefore, kindly asking for your volunteer support, if you can, to peer review the course material before we can submit by end of 2018 or early 2019. Your involvement in the content review and/or even development is most welcome. Feel free to contact us for further details.